Learn And Live!!! : Learning Reflection!!! I consider myself very proficient in using Google tools, thanks to the knowledge I gained from this class. 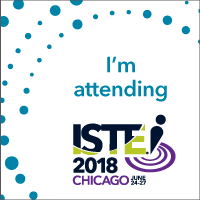 Particularly Google Drive and all it’s components which include docs, forms, sheets, slides and drawing are all tools that I am now very competent with, and also confident in teaching others. The research tool is probably my most exciting discovery and the fact that multiple people can work collaboratively on a project is something I have started implementing at work. It is amazing to see how we all collaboratively contributed to building a website. A bell rang in my ears. My school uses google site and now I realize that rather than having one person laden with the task of updating information on different programs that we offer, the instructors themselves can update their own page and design it to their taste. Bingo!!! My next professional development with the teachers will be on Google sites and the aim is for instructors to take ownership of their page in our school website. I am very proud of myself for what I accomplished in my final project. 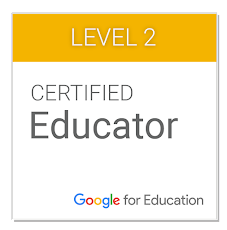 Slowly but surely, I went through the Google Educator Certification and went ahead to document my work in a Google site and blogger. This is a testament of directly applying what I learned in this course. Many of my colleagues have already benefited from my experience because I am no longer shy in sharing my knowledge. I can now set up a website, something that I didn't know how to do prior to this course. I was happy to learn about the ctrl + F button. You should see the excitement on both teachers and students faces when I let them in on this secret of smart research. This course has opened me up to so many online tools and am now using Apps and extensions from the Chrome web store to make my work easier and more innovative. I can say that the instructional style of this course is remarkable. Slow learners did not feel overwhelmed and fast learners did not feel bored. Everybody has something to teach and learn. Thank you Lucie and all my classmates for a job well done.